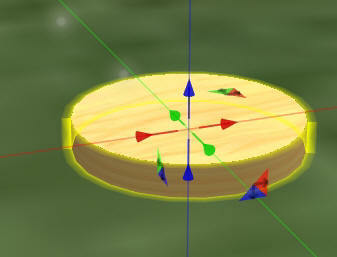 This is Part 1 - Making a food bowl for a breedable pet in Second Life. 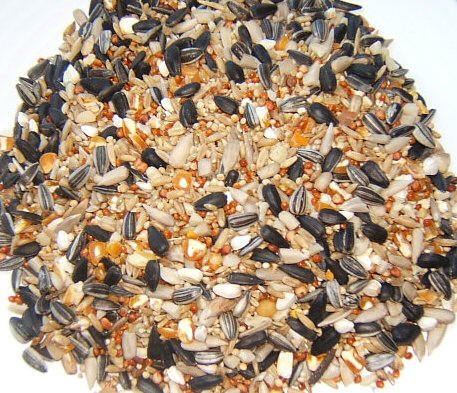 This first lesson will show you how to make a set of basic pet food bowls for your breedable XS Pet quail. Create a prim, and in the object tab, set the Building Block Type to Sculpted. 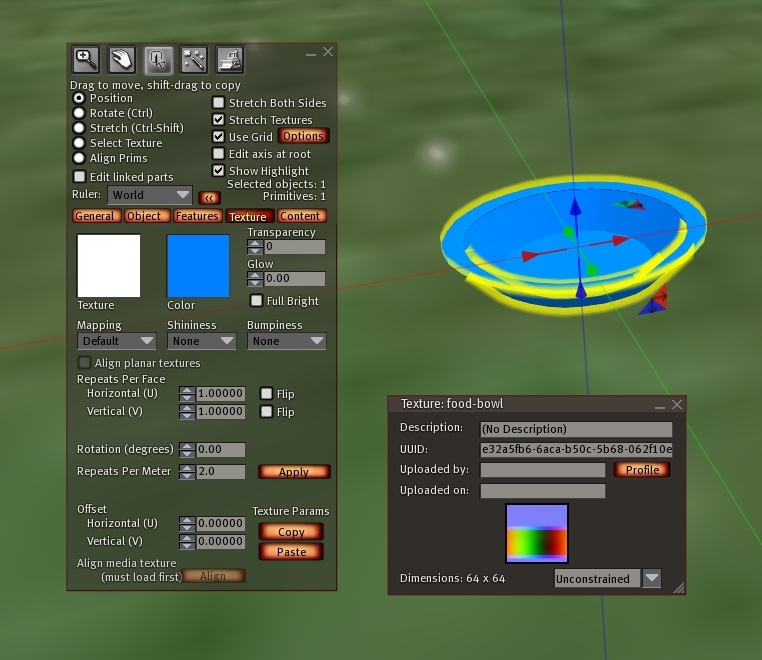 Right-click and save this sculpted bowl texture to your hard disk. Upload this texture to Second Life and drag it onto the sculpted texture window, or click the texture and then browse to the texture that you uploaded. A bowl shape will appear. Click the button for 'Inside-Out'. In this photo, I colored the bowl blue. Right-click and save this food texture to your hard disk. Upload this texture to Second Life and set the texture on this prim by browsing to the texture that you uploaded. Position and size the two prims so that they make up a food bowl and food. 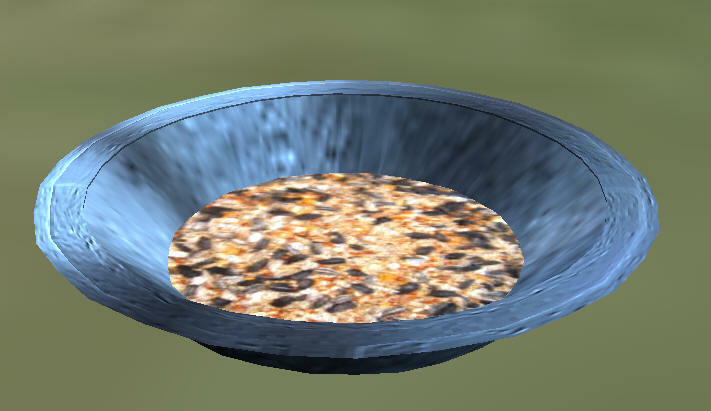 In my food bowl, I used the texture properties to add bumpiness of bricks and a low shine on the bowl, and I also added a steel texture with some blue coloring to the bowl to make it pop and have some roughness. Edit the two pieces of the bowl and select the food bowl last. 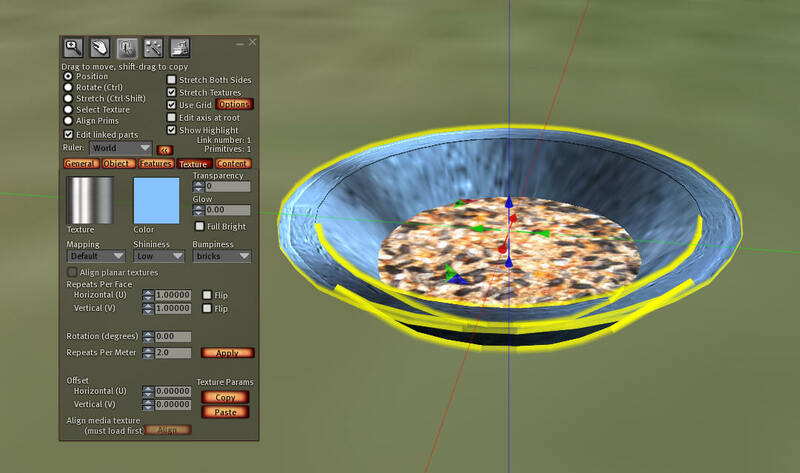 Link them together with Ctrl + L.
Now you can add the food animation script to the food prim. We will add the scripts in the last step. I decided to make this one look like a can that the birds have discovered and are eating from. 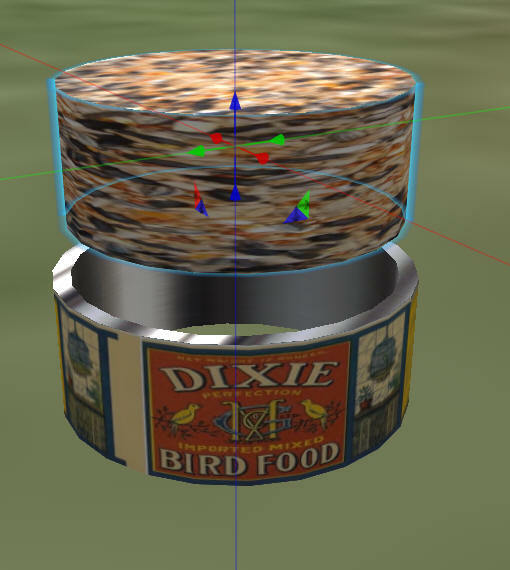 I used a round cylinder instead of a sculpt, with a hollow to allow the food cylinder to show as if the can was left out and the birds have discovered it. 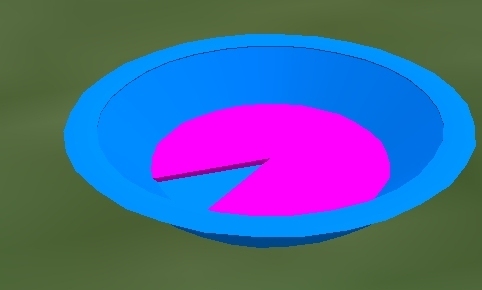 Put the food bowl animation script in the food prim, and then put the food bowl script in the pan. You can also edit the xs_foodbowl script and change the FOOD_TYPE to 1. Type 0 is normal food. Type 1 will make your pet glow when it is eaten. If you are using the original code, be sure to change the key YOUR_UUID = "00000000-0000-0000-0000-000000000000"; to your avatar key. If you are using my modified scripts, you can skip this step. Open both Food Bowl scripts and change UNITS_OF_FOOD to equal how many units the food bowl shoukd contain before it is empty. 168 is the default, but you can set any amount. When you reset the food bowl, you should see it count up to a full bowl. When you (and only you) reset the food bowl, the food is filled in. The food bowl is ready to sell after it is full. You really should test this after you finish the tutorial with an alt or a trusted friend. This short video shows what happens when you reset the script. Be sure to make the food bowl Non-Copy and No-Mod! Make the scripts no copy and no mod, too. Always make these permission changes while the bowl is in-world, and never in inventory. If you change permissions in inventory, they will not take effect until after they are rezzed by your buyer. So the copy/mod/transfer switches on the one they purchased will still be at the default permissions, and they have unlimited food bowls.